Art People, the stunning restaurant at Aïshti by the Sea, is the top culinary destination north of Beirut. The stylish spot boasts a beige and white décor, with sumptuous cream leather and clear wood sofas created by Sawaya & Moroni. 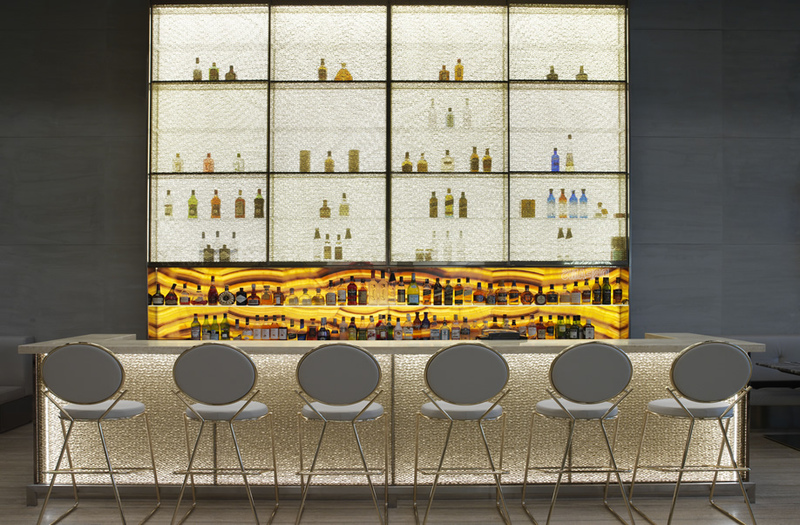 The stylized wave motif, from architect David Adjaye’s red steel latticework that surrounds Aïshti by the Sea, is engraved into the seats and the beautiful gold mesh metal panels covering the bar. High cement walls are adorned with artworks by Doug Aitken, creating the perfect place to eat, drink and chat after a visit to the Aïshti Foundation, Beirut’s primary destination for contemporary art. Art People is open for food and drinks daily from 10am-8pm, offering a tasty and healthy menu, including a wide choice of freshly made pizzas cooked in a wood-fired oven. Every Sunday for lunch, Art People hosts an open-air American barbecue, as well as an open buffet, including a selection of pizzas, pasta dishes, salads and desserts.